After several rounds of straining and re-grinding. I've always thought it would be fun, not to mention cool, to make my own paprika from peppers I grew myself. Call me a kid with a crazy dream, but last weekend that dream came true. Last spring while leafing through the Territorial Seed Catalogue, I came across their blurb for Alma Peppers. "Grow your own paprika seasoning!" it gushed. 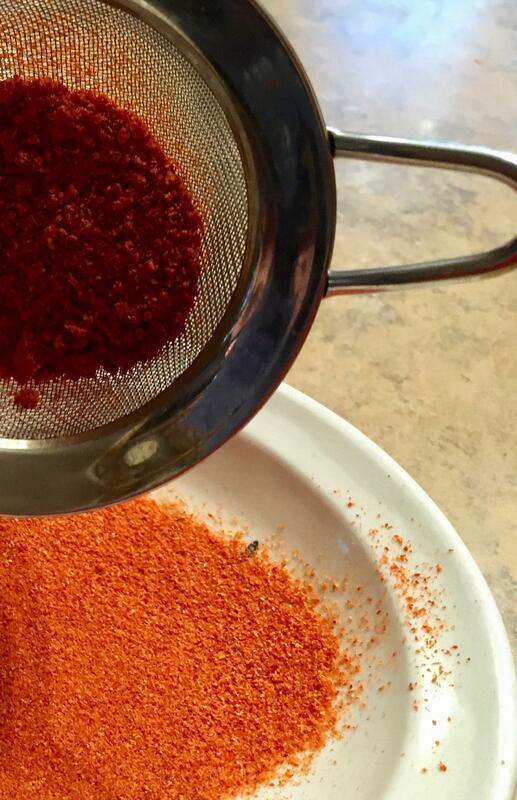 "Alma is one of the best paprika-type peppers for drying and grinding." I had to try it. The peppers were finally mature last week. I got five or six from the one plant I'd put in, cut them up and laid them out on the screens of the food dehydrator DeGroot had picked up at a garage sale years ago. Eight hours later I had a tray of brilliantly red shrivelled pepper shreds. Next I put them into the old blade coffee grinder I use for spices and ground them up. There's always a few that don't grind up as finely, so I sifted the contents of the grinder through a fine mesh strainer and then re-ground the bigger pieces. I did this about 3 times before it was uniform enough to suit me. The stuff has a much stronger "paprika" flavor than I've tasted before. Sweet and peppery though not at all hot. Of course I didn't get much, less than a quarter cup. Next year I plan to put in at least ten plants and produce the stuff in volume. It's the week for grinding chiles. 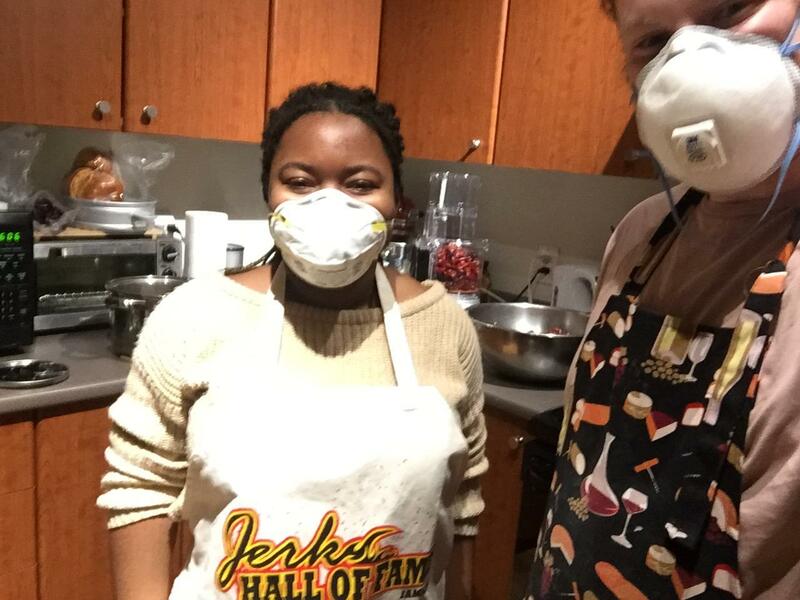 Nancy's son Nate and friend Megan preparing the Sichuan chili oil from the Chinese Cooking Demystified video. Link above.